I really like sewing even though I’m not the best by any means. Recently, I carefully lengthened a pattern, cut it out, stitched it all together, and then carefully chopped off all the bits I’d carefully lengthened only moments earlier. Reader, I swore, and then I hit the library. I wanted something that would help me learn how Not To Do This in the future, but also something that would inspire me. 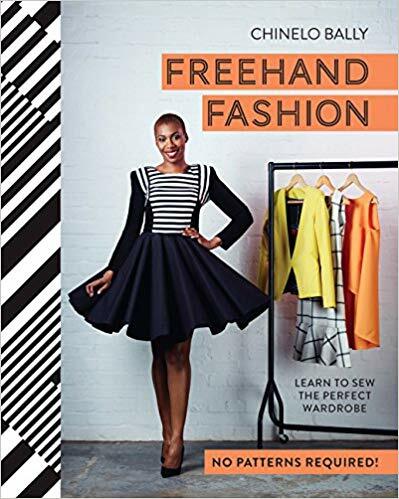 I’ve read a lot of dressmaking books in the hope of finding this perfect thing; yet the more I read, the more I realised they tended to work towards one standard body type. And as a plus-sized woman, I didn’t want that. I wanted a book that would address the issues I was coming across with my body. I wanted something that would help me how to figure out how to grade a pattern for my build, or even how to cut a sleeve that didn’t look like I’d closed my eyes and hoped for the best. It’s important to acknowledge that there weren’t a lot of these books to choose from. There are those that teach you how to sew for plus-sized bodies, for example, but the clothes tend to be something I’d not wish upon my enemies. There’s also a tendency towards having these books full of models of a particular body type and ethnicity rather than the gorgeous diversity you’d find, say, at a Christian Siriano show. 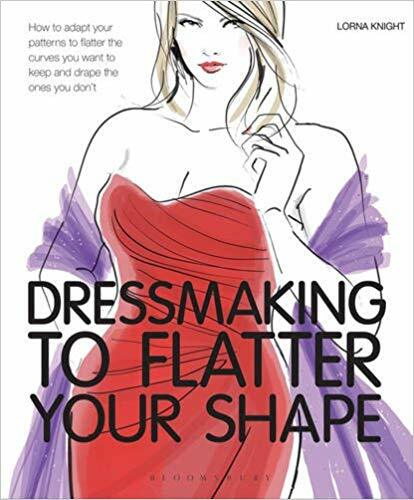 So reader, here are four of my favourite dressmaking books for bodies like mine. They recognise the existence of bums and stomachs, and are all incredibly beginner friendly. Pick up your pattern maker and get them on your hold list right now. And if I’ve missed any that you’d particularly recommend, let us know in the comments. A more formal book than the others, Metric Pattern Cutting focuses on the technical side of things. I’m recommending it here because it’s so clearly laid out that you can’t help but figure out the shapes that you need. Aldrich talks you through a series of basic blocks and how these can be adapted and made to work for your particular circumstances. It’s very user-friendly and really helped me figure out how to break a pattern down. A self-taught designer, Bally came to fame on The Great British Sewing Bee (it’s like The Great British Bake Off but with more calico and less creme pat). She’d never used a pattern, preferring instead to use a more freehand style based on traditional Nigerian techniques. This is the book to turn to if patterns aren’t quite working out for you and you’re looking for another way in. And her designs are gorgeous. When in doubt, go historic. I’m a fan of a corset (sign me up for a Versailles costume ball now please), but I’m also a fan of what they teach you about fitting your work to a body. You learn about panels and shapes and how boning can be the best thing ever. This is a gorgeous book. Admittedly, it focuses more on the historical side of things, but it does include some amazing patterns for corsets and crinolines that you can adapt and size up. (Brief sidebar: check out Nick Verreos’s amazing Youtube channel that’s full of tutorials to help you do precisely this).